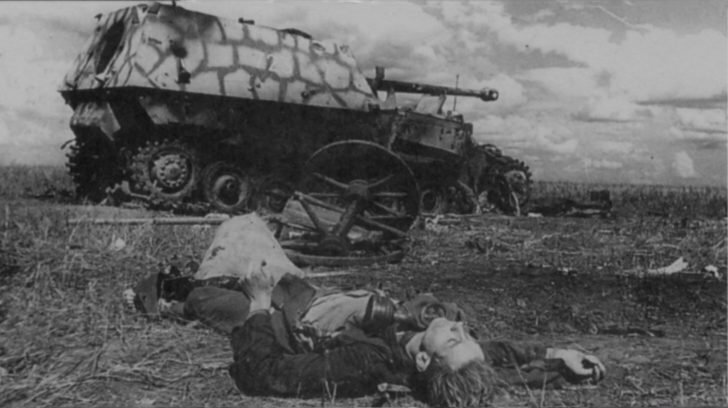 “Ferdinand” heavy assault gun number “723” from the 654th battalion, destroyed in the area of the state farm “May 1”. The Battle for Kursk. The caterpillar was destroyed by shell hits and the gun of the assault gun was jammed. Ferdinand was part of the “shock group of Major Kahl” in the 505th heavy tank battalion of the 654th Division.